People with history of abuse share their aged care fears. Abuse victims worry about 'being locked in cupboards', 'not being loved' if returned to care. The thought of swapping a modest life in a caravan park for a nursing home fills Ellen Bucello with dread. “I couldn’t cope with it,” she said. 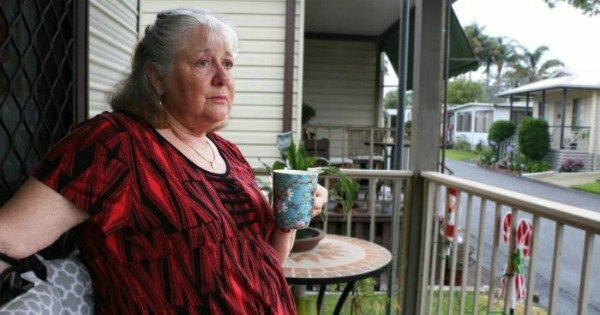 The 65-year-old who lives on the New South Wales Central Coast feels supported by her neighbours, many of them ageing too, and she enjoys her independence. But spinal problems and worsening arthritis mean she could soon have to leave her mobile home. “I worry about being locked in cupboards, I worry about being, and I know that it doesn’t happen anymore, but I worry about being tied to a bed, being restrained,” she said. Those fears stem from a childhood spent in state care. Ms Bucello said she was subjected to severe neglect and abuse. One of her saddest memories is having to spend three nights on the front porch, banished there by a foster mother. “I was told that I was nothing but a dog, that you will eat like a dog and you will sleep like a dog,” Ms Bucello said. Later there was sexual abuse too. Ellen Bucello is one of 700 people who grew up in care who took part in a two-year national study by the University of NSW. The report, “No Child Should Grow up Like this: Identifying long-term outcomes of Forgotten Australians, Child Migrants and the Stolen Generations”, is being released today. It is the largest independent study to date on the impact of institutional care. The report recommends that those who grew up in care be given special needs status and access to tailored services in old age, such as unlimited counselling and in home care where possible. “They have certain unique needs arising from an extended period of their childhood in institutional and other forms of care, where their developmental outcomes and their developmental needs were compromised,” lead researcher Professor Elizabeth Fernandez said. 76 per cent said they were surviving on an annual income of less than $40,000. “They are currently reflecting a high level of mental health needs and physical health needs and therefore from that point of view they are a unique group,” Professor Fernandez said. She said while the work of the child abuse royal commission had been vital in recognising the devastating impact of sexual abuse, the study showed that other forms of abuse could be just as damaging, including humiliation, degradation, limited access to education and forced labour. “We need to go beyond sexual abuse to look at other types of abuse that we need to characterise as serious wrongs affecting people and having life-long consequences,” she said. In her role at the Open Place drop-in centre for people who grew up in state care, Caroline Carroll is a welcoming face to those who stop by to read the papers or use the washing machine or computers. Ms Carroll knows their concerns all too well; she too grew up in care. “I won’t ever go into an aged care service, I can assure you of that”, she said. Ms Carroll, who is the current chair of the Alliance for Forgotten Australians, says she shares the view of many of her peers, “who say they would rather die than go into aged care”. Even going to a hospital can set her off. “And I’m a private patient,” Ms Carroll said. When she arrived though for a recent hospital stay she was shown to a dormitory. “I just threw a real turn and said, ‘I’m not staying here’. She worries that when she is no longer working she may not be able to afford private health care and will not have a choice. “It really freaks me out,” she said.